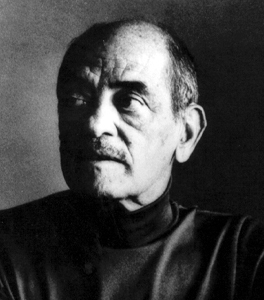 The Spanish government has announced plans, La Jornada reports, to turn the Mexico-City house in which renowned surrealist filmmaker Luis Buñuel (1900-1982) spent most of his post-Civil War exile into a culture-historical center that focuses on Buñuel’s work but also allows for Spanish-Mexican artistic collaboration more generally. Buñuel’s move from the US to Mexico in the late 1940s initiated a period of extraordinary late-blooming creativity, starting with Los olvidados (1950), and including The Exterminating Angel, Susana, La ilusión viaja en tranvía, Simon of the Desert, and Nazarín. Interest in Buñuel’s life and work has always been strong, but has recently received an additional boost thanks to the release of a new documentary by his son Juan Luis and his scriptwriter Jean-Claude Carrière (The Last Script), a book on Buñuel’s involvement with the Communist Party, by Román Gubern and Paul Hammond (Los años rojos de Luis Buñuel). Ian Gibson, the famed biographer of Buñuel’s student buddies García Lorca and Dalí, has been working on a Buñuel biography for the past couple of years.